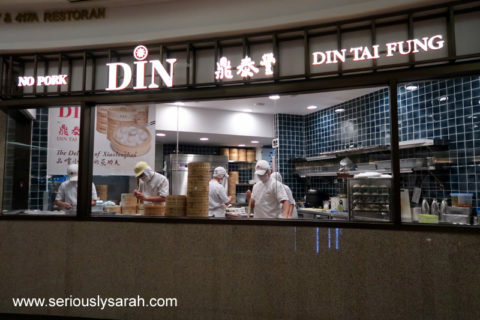 Is Din by Din Tai Fung, Halal? Yes it is. Where is it? The one I went to is at level 4, lot 417 at Suria KLCC in Kuala Lumpur, Malaysia. I think that’s basically what you guys wanted to know. There’s alcohol in the beverages part of the menu but like many restaurants there, the food is halal while the drinks are separate. You can check their website for the full menu and their number to call for reservations. We did it because we went on a very busy Sunday night and oh thank goodness we already got a reservation. General prices are like that. You’re going to Din by Din Tai Fung so you should know their food is of quality too. 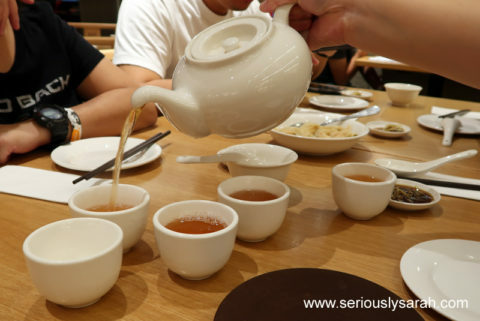 We chose Pu-er Chrysanthemum tea mix because not a lot of places can do a good tea mix. You want a proper one, yeah this is the time to order it there. Spicy shrimp and chicken wontons came first and ahhh, it is so delicious. The wrapping is so nice to bite into along with the fillings with the chilli. It’s not too hot but gives enough taste for it to be spicy. 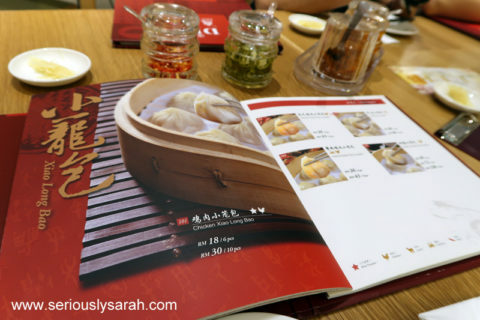 No, we can’t order too much too because our main goal is xiao long baos. It’s hard to get Halal XLBs in Singapore, except for places like Tang’s Tea House. 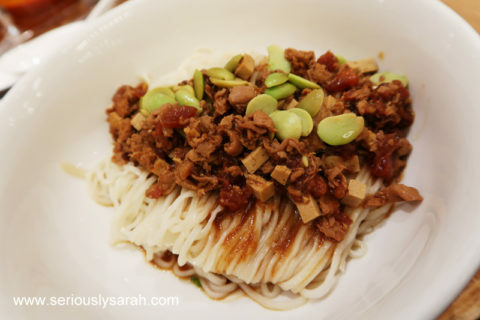 But first, this is my minced chicken noodles in bean sauce. Oh my goodness, my friends told me the noodles are handmade and yes, you can taste and feel the springiness of the texture. It is freshly made noodles and you could just stir it easily with your chopsticks to coat with that delectable bean sauce. 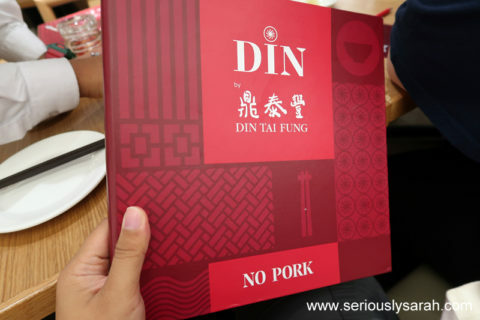 If you wanted it spicier, there are condiments on the table but I had it as it is so I could taste the intermingling bean sauce with the minced chicken and the noodles. And finally the XLBs. 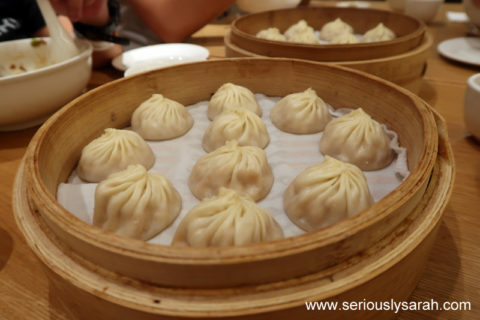 Unlike that awful, awful Time Out London video of eating Xiao Long Baos, please don’t insult the good craftsmanship of making these by “exploding” them and not drinking the soup. 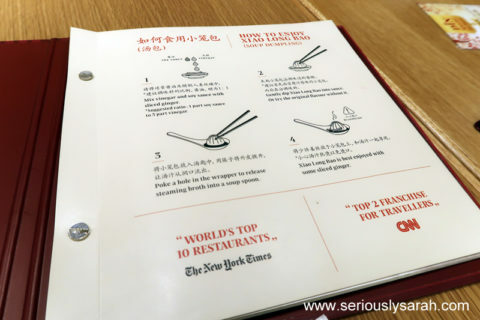 Here’s a reminder from the menu if you need to know how to eat it. In any case, oh my goodness. This was such a lovely XLB. I like to just nip at the top and drink the soup then eat it all with a bit of ginger and vinegar. 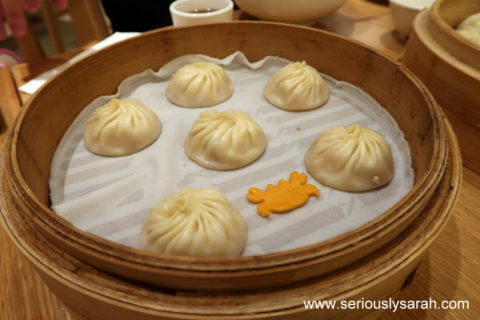 We also ordered the crab and chicken XLB which according to friends who go to the regular DTF in Singapore, this one tasted much nicer. It is addictive but ahh, well you just need to try it for yourself. Sipping the soup and then biting into the mouthful of juicy fillings and the thin xiao long bao skin. The closest to describe would be the al dente-ness of a pasta but no. 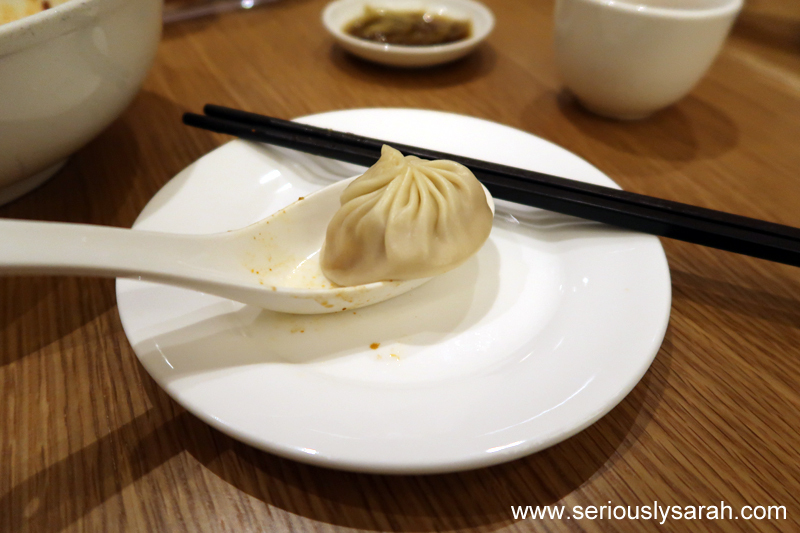 You just need to eat the whole xlb yourself and savour it. Ahhhhh. 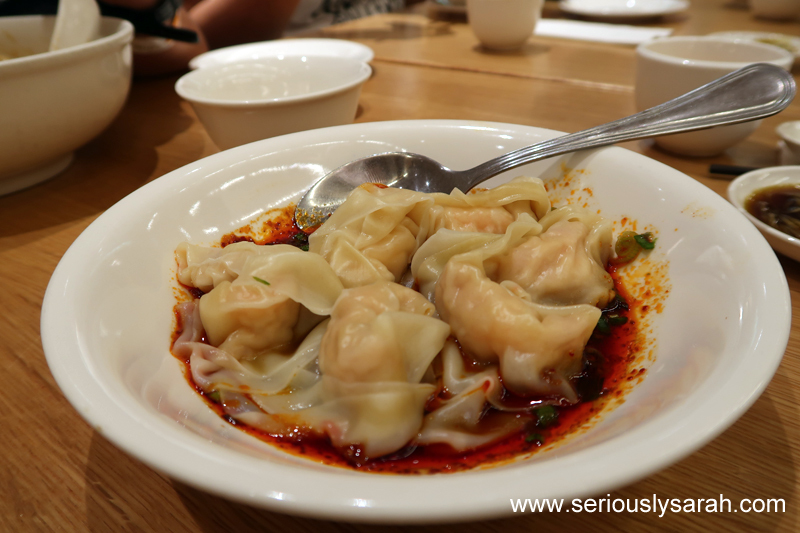 Ok, I’m definitely wanting to eat more XLBs whenever we return to Kuala Lumpur. This is a good restaurant and the service is great. One of the cooking staff will come from the kitchen to bring you fresh XLBs and yesssss, it just freaking delicious ok?! I NEED TO GO BACK AND EAT THIS like, I don’t know. Maybe a planned KL food trip or something but yeah. If you’re going to KL and ever wanted to try halal xiao long baos, go to Din at Suria KLCC. Ps. The price range is similar to any DTF in Singapore too so there’s no “cheaper” or more expensive price ranges for it since it’s somewhat standardized. Next Next post: Singapore to Kuala Lumpur Bus trip!